WHEN IT comes to the classic “three Rs” of education, reading and ’rithmetic are still going strong. But ’riting — at least by hand — has fallen on hard times. Today, the vast majority of adult composition takes place at the keyboard, not the paper tablet. Is handwriting, particularly cursive, really necessary in the digital age? Increasingly, the answer is not really. Common Core standards issued in 2010 do not include any requirements for handwriting instruction. 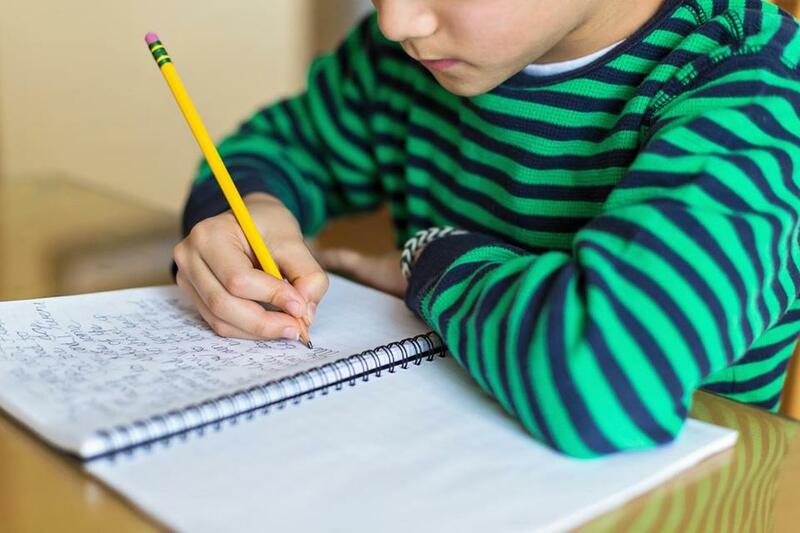 Even education experts who would like to see more classroom time devoted to writing question whether every student still needs to be taught two entirely different styles of handwriting. In response, advocates have risen up to defend handwriting instruction on educational, scientific, and cultural grounds. That’s thanks in part to simple nostalgia. “It’s something that just about every American alive today was taught at some point in their lives, and there aren’t that many things you can say that about,” said Anne Trubek, a writer and editor who is working on a book on the history and future of handwriting. “There is this common memory.” And it can be frightening to see common memory disappear within a lifetime. Now, the hand-wringing over handwriting has reached a fever pitch, with the Common Core decision energizing its defenders. The fight has also turned political. Last month, the New Hampshire Senate passed a bill that would require public schools to teach cursive. (Its language was later changed to “encourage,” not mandate, cursive instruction.) A similar law goes into effect this year in Tennessee. Other states preceded them: After adopting the Common Core standards in 2010, Massachusetts amended them to make legible handwriting a requirement for fourth-graders. Some say that if defending a place in the classroom has become this tough of a battle, the cause has already been lost. “These bills in a sense are a last gasp of cursive being taught on a regular basis,” said Richard Christen, an associate professor in the University of Portland’s School of Education. But handwriting isn’t going away without a fight. For its defenders, the loss of penmanship would be a loss of not just a handy skill, but of a source of art, virtue, and patriotism. 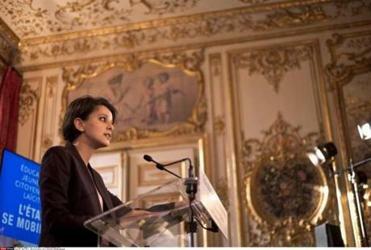 Can teaching patriotism protect France? After the Charlie Hebdo massacre, a country recommits to promoting national values in schools — a tradition that has flagged in the US. HANDWRITING MAY seem like a timeless expertise, but it has not always been a staple in American classrooms. In the Colonial era, only some men and almost no women were taught to write. Today, however, the vast majority of adults raised in this country received manuscript handwriting instruction by first grade, and then, a few years later, they learned cursive. Handwriting instruction has often been associated with deeper values than simple communication skills. As one 19th-century penmanship expert put it, learning handwriting would help the “uncultivated masses . . . attain such a love for beautiful forms and such a facility in producing them as to really elevate and ennoble their thoughts and lives.” In the 1840s, a former bookkeeper named Platt Rogers Spencer began promoting a style of penmanship that he said would inculcate virtues like refinement, integrity, and communion with nature and God. (Spencerian script lives on in the Coca-Cola logo, among others.) By the turn of the century, in a new era of industry and immigration, a more efficient and supposedly more masculine approach called the Palmer Method was coming into fashion. In the 21st century, handwriting is often still framed as a matter of values — often conservative ones. “Why are they not teaching cursive writing?” asked radio host Glenn Beck on the air in 2013. “They’re not teaching cursive writing because the easiest way to make somebody a slave is dumb them down, make sure they can’t read or write.” Others argue that children need to be able to read documents like the Constitution in their original script. Cursive remains a popular option in homeschool curriculums designed for conservative Christians. Some advocates combine a cultural argument with a cognitive one. “In addition to being able to read our Founding Fathers’ documents, it activates the left side of the brain,” said Nancy Stiles, the Republican state senator from New Hampshire who introduced the recent cursive bill there. “Youth are into technology and they use it for everything, but in my mind they still need to learn how to connect the letters.” Stiles’s bill also included a requirement that students be taught multiplication tables. Cursive and the traditional multiplication tables have been paired together in recent legislation in a few other states, where lawmakers have given their proposals names like “Back to Basics,” hinting at their origins in nostalgia. Academic experts in handwriting — even those who mourn its fading — are widely unsympathetic to political arguments for cursive. “Legislators do some very crazy things, but this one seems to me to be ludicrous,” said Steve Graham, an education professor at Arizona State University. “It’s an antiquated and outdated view of the world.” Graham argues that while composition instruction is crucial and neglected, the method used to produce that writing is much less important. Berninger is conducting ongoing longitudinal research on the effects of training children in various methods of text production. Her work suggests that print handwriting, cursive, and keyboard all have distinct developmental advantages. In one recent study, she and her coauthors reported that cursive in particular had measurable positive effects on older children’s spelling and composition skills. In part, this is because cursive is a faster communication method than print. For young children in particular, research suggests that comfort with handwriting allows them to express more ideas, because they’re able to get ideas down on paper before they slip away. Berninger compares learning handwriting to an athlete doing pre-game drills, or a musician practicing scales. “Our handwriting is just a warm-up to give us a tool so we can get to the real purpose of writing, to express our ideas,” she said. Even at later ages, there’s research that suggests pen and paper still have their place. A paper published last year in the journal Psychological Science, for example, found that college students who took longhand notes during lectures retained more information than their peers who typed their notes on Internet-disabled laptops. As writing by hand becomes a more unusual skill, in some ways it is becoming more highly prized. Today, some libraries offer summer “cursive camps” for children, and tutors teach private lessons. Party hosts pay hundreds of dollars not just for complicated invitation calligraphy, but for more casual handwriting styles favored by the Etsy crowd. As an aesthetic, handwriting has perhaps never been more in vogue. If handwriting today is valued because it has an aura of authenticity and hand-crafted cool, however, that marks a stark shift from the past. The Palmer method involved hours of rote practice, with students practicing the same strokes over and over. In the pre-digital and pre-typewriter era, the whole point was uniformity and legibility. “This idea we have now, which is that handwriting expresses personality and individuality, is recent,” Trubek said. The decline of handwriting doesn’t mean the future will inevitably be bland and conformist. We have plenty of ways to express personality through a keyboard: through fonts, emoji, and the seemingly endless mutability of language itself. As for reading the Constitution in its original script? The average adult trained in classroom cursive would find that slow-going — and would also have no need to do so. No one argues that every schoolchild in America should be trained in medieval script in order to read early copies of “The Canterbury Tales.” There will always be trained paleographers who can decipher original texts. In the meantime, the digitization of original manuscripts has made more historic documents accessible to more people in more places than ever before. Cursive may be dying, but text itself is thriving. Which doesn’t mean that there’s nothing to mourn about the declining ubiquity of elegant handwritten text. For Christen, the loss of handwriting instruction means the loss of a unique opportunity to teach children a practical skill that also has elements of real aesthetic beauty. Handwriting isn’t the only way to impart that lesson, but it’s a powerful one. As one alternative, he suggests teachers emphasize elements of craftsmanship as students compose electronic documents and presentations. • Can teaching patriotism protect France?